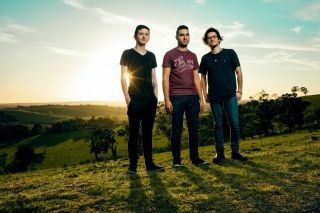 Australian instrumental proggers The Omnific have premiered their new promo video for single Erin with Prog. You can watch it below. The Omnific are unique in that they feature two bass players and a drummer. They have thus far released two EPs and new single Erin, which was produced by band member Toby Peterson-Stewart and then mixed by Forrester Savell (Dead Letter Circus, Cog, Karnivool) and mastered by Ermin Hamidovic of Systematic Productions, with additional programming by Jamie Marinos. The Omnific will tour with Osaka Punch in November before both bands head out on tour with Australian prog legends Cog for dates in February and March.